At Align, we're more than just an outsourcing company. Our mission is to HELP YOU SUCCEED AT ALBUMS. We want to help you sell more albums, and we want to save you time and make you more money producing them. Check out these resources designed to do just that! New to albums and not sure where to start? 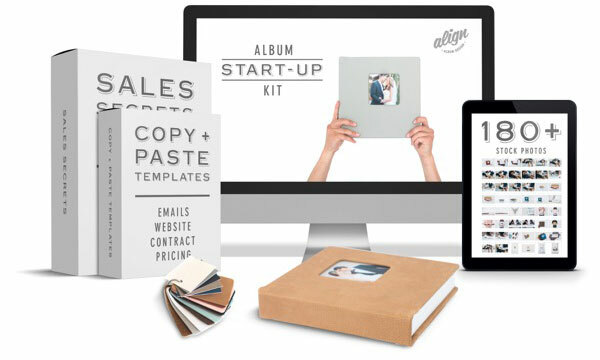 This comprehensive kit has EVERYTHING you will need in order to quickly add albums to your studio AND start making up to $1,000 additional profit per wedding. Take all of the guesswork and trial and error out of the process and save well over 100 hours of work. Learn more about the 11 tools included in this kit! Do you struggle with getting your clients to see the value of an album and purchase one? This 3-minute short-film with a $10,000 production value was created with you in mind! Show it at your initial client meetings or on your website to effectively communicate the value of a custom heirloom album in a non-salesy way. Email templates are the #1 time-saving tool to speed up your workflow and they also help to make sure nothing falls through the cracks. 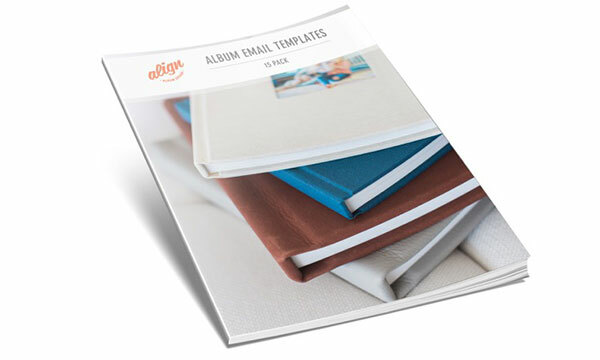 Included are 8 pages of email templates that will help you clearly communicate with your clients from start to finish throughout their album production process. Use these templates to walk your clients through what could be a hairy process in a way that makes YOU look like a pro and leaves THEM raving about your exceptional service.